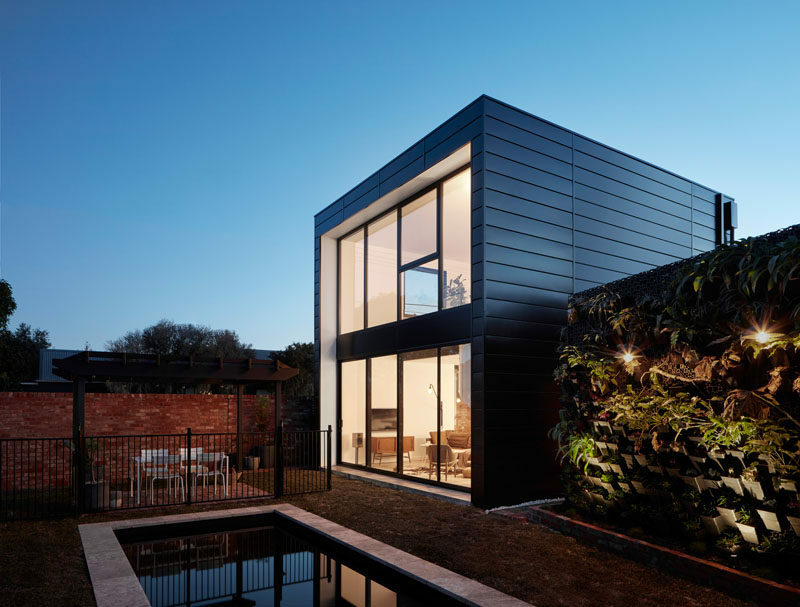 Australian modular design and prefabrication company Modscape, have added a modern extension to an old brick house that sits on a corner lot in Brunswick, Victoria. 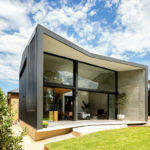 Peeking out from behind a brick wall, the extension features Colorbond Diversaclad in a ‘Night Sky’ color, with complementing black powder-coated double glazed windows. 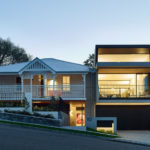 A glass link corridor clearly defines the two architectural styles and even allows for a walk-in pantry to be accommodated. 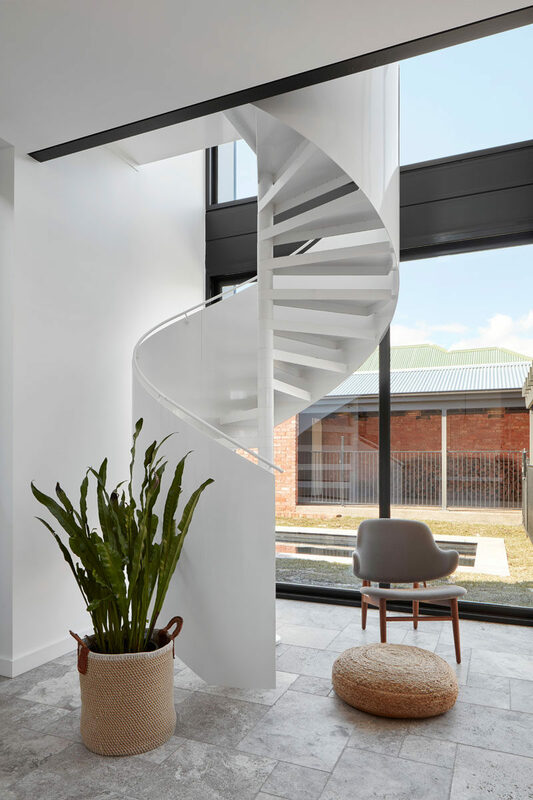 The bright white ground floor of the extension has been designed as an open plan space with views of the backyard through the double height wall of windows. In the kitchen white cabinets have been paired with a Corian White Jasmine countertop. Travertine silver tiles in a French Pattern cover the floor, and a white Enzie spiral staircase makes a striking statement in the room and leads up to a mezzanine master suite. 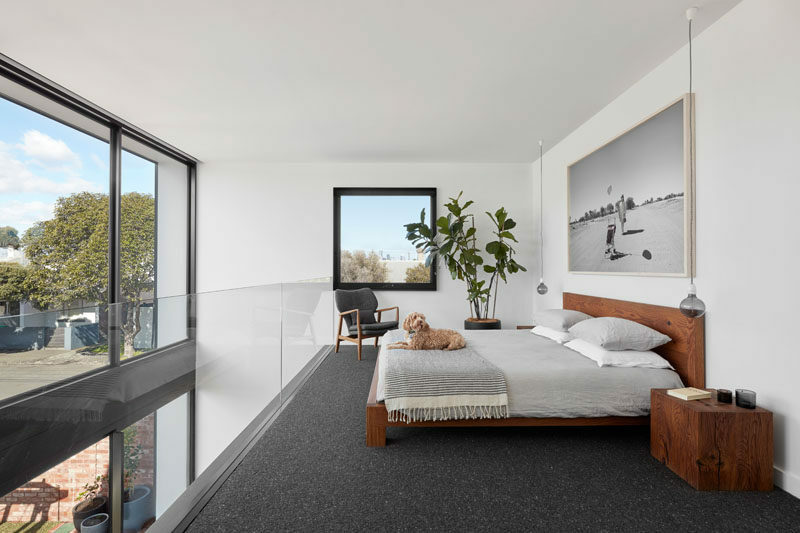 Upstairs the city’s skyline is framed perfectly and sits like a picture on the wall, while a glass balcony allows seamless views of the backyard the neighborhood. When privacy is needed, the windows have motorized blinds that can be used. 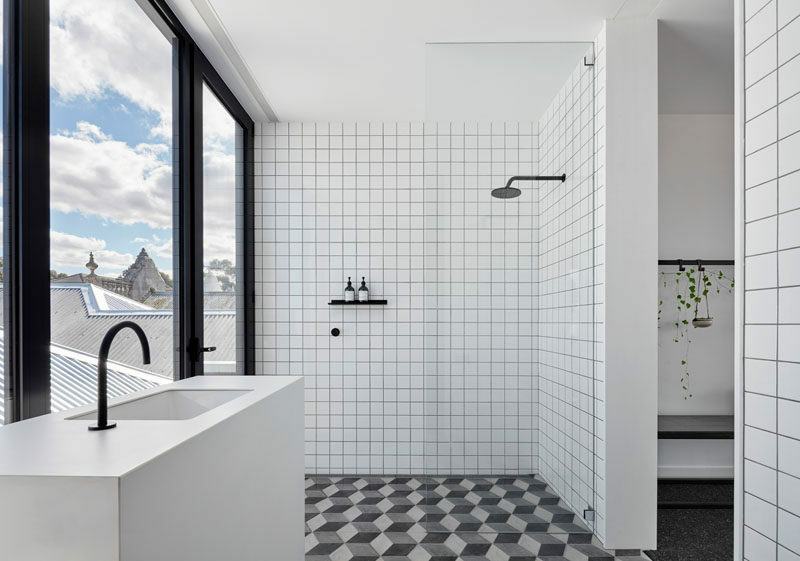 Behind the bedroom is the bathroom, that features Marca Corona hexagonal tiles on the floor, and simple white square tiles with a dark grout on the walls. Matte black bathroom fixtures complement the window frames and create a modern appearance.